So you've decided to focus on the way your diesel repair shop handles its marketing. Maybe you've even considered a few channels for how best to market your shop. But have you thought about who you're going to direct your marketing efforts at? You might think that it's best to target anyone who will buy from you. It's cash in hand, right? While that's not necessarily wrong, it's also not the best way to look at it. If you target a specific set of ideal customers, you stand to make even more money—and you may not even isolate the other potential customers while you do it. By choosing an ideal customer type that you want your shop to focus on, you can better narrow your marketing message. Rather than just speaking on your shop in general, you can use your marketing to highlight the things your shop does that your target group will find useful. You can also narrow how you want to reach them. By understanding just who it is that you're marketing to, it's easier for you to select marketing channels that they're most likely to respond to. Perhaps the demographic you're after spends the majority of their time online. Then you might want to focus most heavily on internet marketing. On the other hand, they may value a paper copy, meaning a mailer or flier might have the best chance of converting them into customers. No matter the channel, you can feel more confident that you're spending your marketing budget on the right thing. That, perhaps, becomes one of the most compelling reasons to identify your target customer—it can save you money. Rather than throwing money at a bunch of different marketing channels, or wasting it on something that might not really work, you'll be putting each dollar toward where it can be most effective. So not only do you stand to make more money by bringing in more customers, you can save more money as well. Win win. It's not enough to want to select a target customer. You actually have to know how to identify them to make it work for your shop. One of the best ways of doing this is by analyzing your existing customers and the market in general to create a customer profile. Start by looking at your current customer list. Which are the high spenders? The ones who always pay on time? Odds are, these are the types of people you want more of, as they not only make you more money, they give you fewer headaches. You'll also want to look at the needs and capacity of your shop. Do you have the space to handle clients with multiple trucks? Are you wanting to add a fleet to your customer roster? Or maybe you want more owner-operators who spend a bit more on repairs than just an oil change. Ratchet+and Wrench did a nice article on shifting a shop's focus toward the clients they want to bring it. And while it might not be realistic to market your shop to the same kind of clientele they focus on, it offers some good advice on changing your mindset. Once you have this baseline established, analyze these customers. What is it that they have in common? Start with their demographics: where do they live? What is their age range? Gender? Average income? Education level? All these questions will help you begin to establish a profile for what your ideal customer looks like. Next, you'll want to dive a little deeper. Focus a little more on the psychographic information of the customer, meaning, get a better idea of how they think and what they believe. This will give you a clearer picture of what drives them to make decisions. What are their hobbies and interests? Their beliefs and values? Their lifestyle? Meaning, what really makes them function as a person? Putting these together into their most common form will give you a narrow, clear idea of how your target customer thinks and what motivates their decisions when it comes to choosing a repair shop for their diesel engine. And that's where you need to find their problems and pain points. You now have an approximation of who is most likely to spend money in your shop—so what is it that they value from a repair service that they might not be getting somewhere else? Maybe they value speed and accuracy, and you have technicians who can diagnose problems quickly and correctly, preventing the need for comebacks. Advertising your technician's expertise might then be a strong marketing strategy. Think about what it is that they want, and show them how your shop can provide it to them. Once you have this profile established, it's time to think about how you're shaping your marketing strategy. Are you advertising to the target group properly? We'll talk more about how you can do this in a later post in the series. It might also be a good idea to take a look at your competition. Who are they aiming their marketing at? You might not want to direct your efforts at the same group, unless you feel that you have a distinct advantage over them. Instead, see if they're overlooking something and focus your energies there instead. You might also want to have your customer service staff chat with your existing customers. Try and find out what drew them to your shop over others. That could give you more ideas of ways to market your shop. 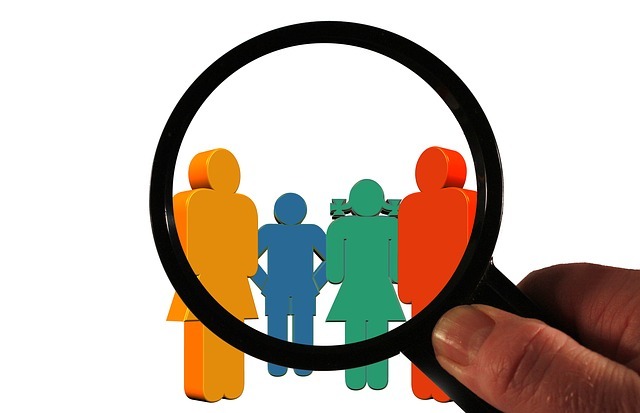 Figuring out who your ideal customer is might seem like a lot of work, but overall it should help you bring in more money and better spend the cash you have designated for marketing. It's work that will be worth it in the long run. Our Repair Shop Value Program can give your shop other great benefits and ways to make more profit. Check it out!